"Oh Carp!" Great Blue Heron flying away with it's catch on a cold misty morning. It was a pleasure to see your photos, Great captures! Well of course this is the most popular! Smashing image - light, detail, action, behavior, the whole ball of wax. GREAT! 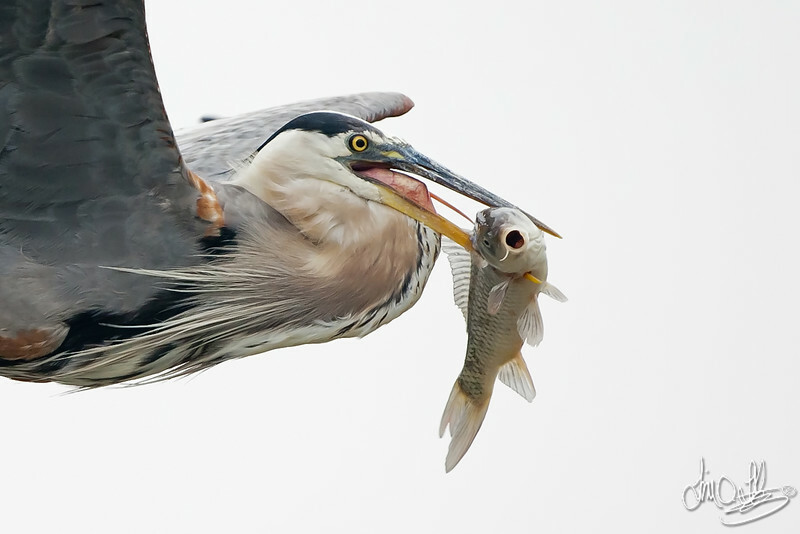 This is perfect, the timing captures both emotions of the bird and fish, as if the fish is giving you the uh-oh!